a very occasional diary: Whither science (А болт мы сделаем деревянным). Whither science (А болт мы сделаем деревянным). I was recently on a committee, reviewing papers for a computer science conference. 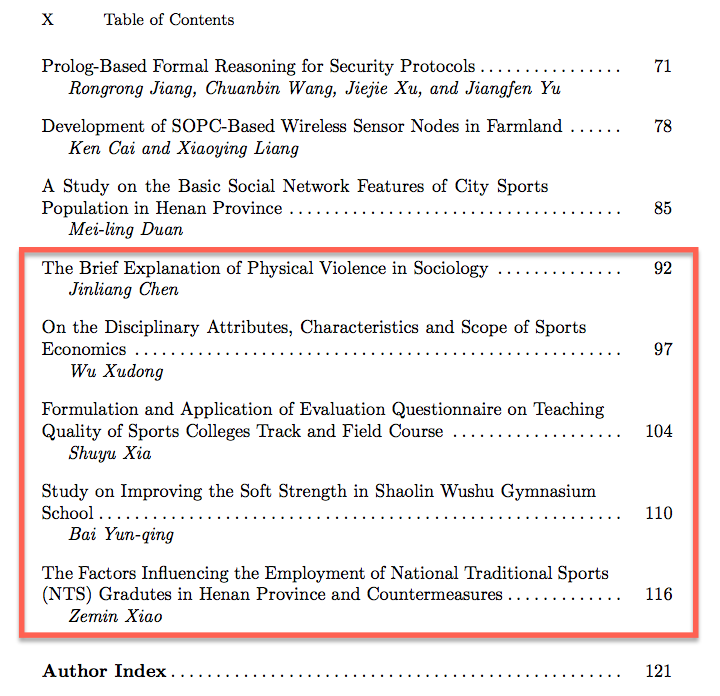 The submissions, from all over the world, were in PDF. One submission was actually a Trojan. An executable masking as a PDF file. This by itself is a startling evidence of how widespread spying became (the Trojan came from a respectable university email address), but the really alarming thing is that this was *not* the paper that got the lowest grades. That is, some legitimate submissions have less scientific content than a virus. A few days later, while perusing proceedings of another conference, which shall remain nameless only for so long, I found something that triggered this post. 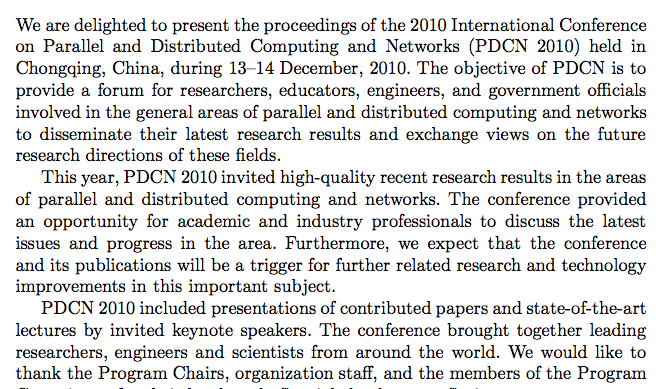 A conference on distributed computing must be interesting. And indeed, for an attentive reader, persistent enough to reach the last articles, there is a treasure in store. 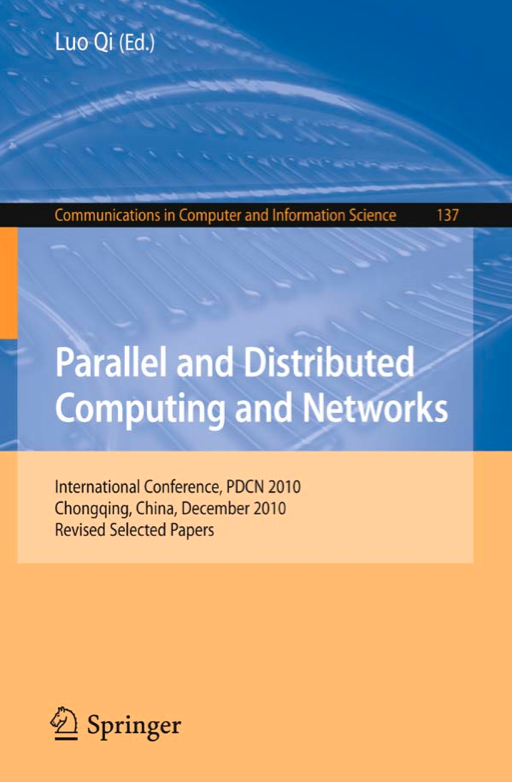 An impressive proof of how versatile and far-reaching distributed computing is nowadays. And who do you think publishes this?